Do you ever get to thinking, “If only…”? Call us naive, but we often stray into the territory of daydreams and wishes. Just the other day we were wondering whether it would be possible to invent a calorie free mince pie. If only, right? 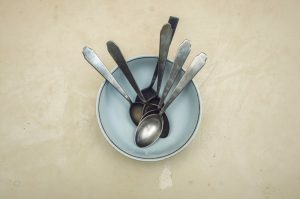 Why is it that teaspoons are so darn elusive? Other utensils seem to have no trouble staying put in the cutlery drawer. Ok so they do occasionally take a short vacation into a neighbouring segment so that if you’re not paying enough attention you end up trying to sip your soup with a fork. But teaspoons just disappear, especially from office kitchens. Digital storage would allow you to password protect your spoon so Jason from Sales couldn’t add it to the growing collection in his desk drawer. Oh don’t get us started on this one! For one month every year it’s become obligatory to deck ones halls – and offices and gardens and pretty much everything else – with 10 tonnes of glitter, tinsel and fake snow. Which we don’t really mind, in and of itself. No one could call us Scrooge. It’s the other 11 months of the year that cause the difficulty. Because Christmas decorations are bulky. They’re also usually quite delicate. Which means they need careful packing away – often with fiddly layers of tissue paper to stop the more fragile items from shattering – and take up a ridiculous amount of space. Definitely one of the things we wish we could store digitally. [Disclaimer: other brands of kitchen plastic are available.] If you could store these boxes digitally we reckon you could probably get rid of half your kitchen units. You’d also be able to search by size or volume rather than having to take a wild guess at whether your leftover casserole would actually fit or not. And you could easily retrieve the corresponding lid without having to try on half a dozen “close but not quite” options first. Heaven, yes? Talking of keeping pairs of things together, what about socks? It’s true that very little beats the satisfaction of a perfectly organised physical sock drawer; the rows of tightly rolled cotton all snuggled neatly next to each other (just us??). But realistically, how often is your sock drawer that tidy? Isn’t it more likely that it’s a shambles of odd socks that have less chance of being reunited with their partner than Kylie and Jason? A digital sock drawer would present none of these challenges. Every single household and most offices we’ve visited have a box of random cables that 98% of people couldn’t identify if their lives depended on it. These assorted chargers, scart leads, HDMI cables and so on are undoubtedly important and therefore can’t be thrown out, even if it’s unlikely you’ll ever be able to remember what they connect to. So how great would it be to store them online where they wouldn’t get in the way? Come to think of it, pretty much the entire contents of your average “man drawer” could be tidied up in this way. After all, how often do you really need the key to the back door of your old house, or a takeaway menu from an Indian restaurant in town that has almost certainly closed down since you got it? At least we don’t need to worry about paper cluttering up our homes and offices any more, right? There’s just no excuse for having endless shelves of invoices, receipts, statements and reports cluttering up the place when getting it all transformed into a digital archive is a piece of cake (well, we say that – it’s actually a pretty involved process for us, but for you it’s as simple as saying, “Hey, can you sort this out please?”). 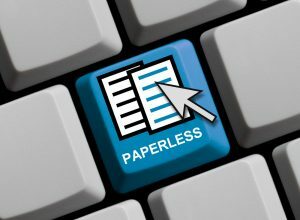 To find out more about how the Scan Film or Store team can help you make the switch to digital – or store those paper documents you still need in our purpose built, climate controlled, 24-7 monitored and alarmed storage unit in Bridgwater – get in touch for a no obligation chat today.